Mercy is not your typical female heroine. First off, she never intended to be a heroine. She is more interested in keeping her Volkswagen repair shop running, paying her bills, and living a quiet life in her 70's model trailer with her Manx cat. Oh, yea, and tormenting the werewolf in her back yard. The Alpha werewolf. Uh huh. Well, she WAS raised by werewolves herself, by the Maraq, in fact, the leader of all the werewolves in the US. A pretty good feat for a woman who shifts into a coyote. What develops is one of the more well developed series in UF. When Mercedes, or Mercy as she is called (yep. A Volkswagen mechanic named Mercedes) takes in a new, young, isolated werewolf, her life takes a new, and dangerous turn, leading her back into a life she thought she had left far behind. 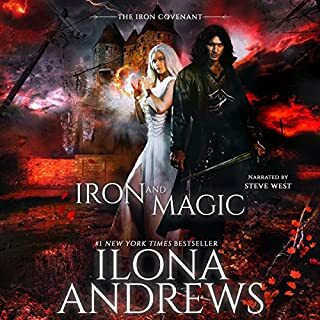 Next to Kate Daniels (Ilona Andrews 'Kate Daniels' series) Mercy is one of the best realized female UF lead characters on the market today. She doesn't whine, cry, piss, moan, or otherwise turn into a whiny little boy-toy. As time goes along, you can see a romance coming on, but like Kate, Mercy's story is about the story, not about the smex. Thank goodness..... I like a good love scene as well as anyone else, but I am MUCH more interested in the story. There are none of the "seedy, ridiculous sexual encounters" (thanks to Leslie Sims of Denver for that little snippet) that are so common in other supposedly UF stories (read "the label says UF, and there are a few weird characters in there, but it is mostly about the sexual encounters). I have read the whole series multiple times (there is nothing like reading a strong female character when you are feeling low!) and I am really looking forward to "Frost Burned" due out in 2013. Read them all, read them in order. You WON'T be sorry! This is a great series. I own the ebooks and have read them all. 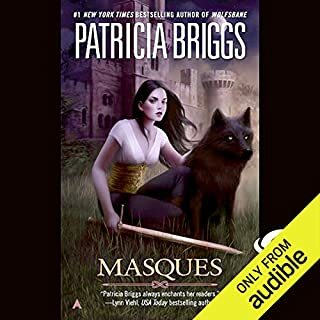 The narrator of this audio book is very good; great inflection, uses different voices for all characters and consistently follows through with them. Not all narrators do this and it makes a huge difference! The audio book really brings out the humor and gives great visual imagery as well. 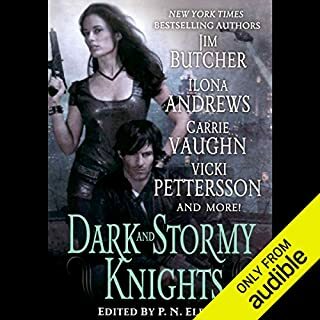 Narrators can make or break a series (e.g., Black Dagger Brotherhood by JR Ward - fantastic series, but the audiobooks sound like they are being read by a sports announcer and just ruin it). Some other good paranormal series that also have audiobooks with good narrators are the Sookie Stackhouse series by Charlene Harris and the Rachel Morgan Series by Kim Harrison. Enjoy! I read the book and enjoyed it. And to me, the narrator makes the story even better, as she adds a certain nuance of humor, life (dare I say humanity?) to what could have been a interpreted in a very dark and dour way. Feel safe putting yourself in the hands of this author, who knows her way around telling a story, and this narrator, who does the telling justice. Mercy Thompson is a strong female character with a good moral code that she lives by. The story is interesting, the plots and action a plenty while keeping the main character real. She still needs to work to pay her rent; she deals with everyday issues, while also dealing with werewolves and vampires. Its a good mixture of reality and fiction and I cant' wait to read the next book in the series. I thought Lorelei King was perfect for the voice of Mercy, and she did a great job of giving the male characters different voices as well. 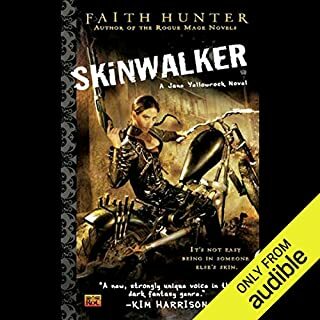 I hope Lorelei King continues on as Mercy's voice in the other audio books, as I will be sure to buy them. This is a book/series that I have loved for quite a while. It's probably one of my very favorite! I was thrilled when it finally came out in audio. The reader is fantastic! Now I just hope that books 2 & 3 are released on audio soon! As a side note, please don't judge the book by the cover. It is an edgy urban fantasy, but not a romance. 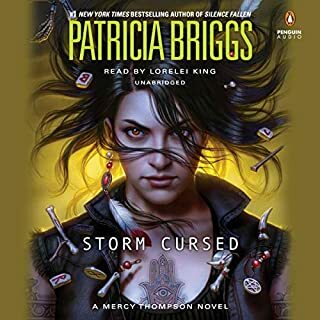 Patricia Briggs's Mercy Thompson series and related books are a definite must for those who enjoy complex, compassionate, smart, strong female characters with a great sense of sarcasm. She values people/beings for who they are and not what they are quite to the dismay of others. I have listened the entire series & related books several times and continue to discover things about the series and how well Briggs has thought out the world and characters. I'm so happy Audible finally got book 2 so I could start the series. The author has an interesting take on shape shifting and werewolves that I really enjoyed. I know the books get even better and can't wait to start the next one. I also loved the reader. Too often the reader and the material just don't work together, but this is not the case with this series. I thought lorelei King was perfect for the voice of Mercy, and she did other voices, especially the male voices, very well. I'm looking forward to purchasing the entire series. 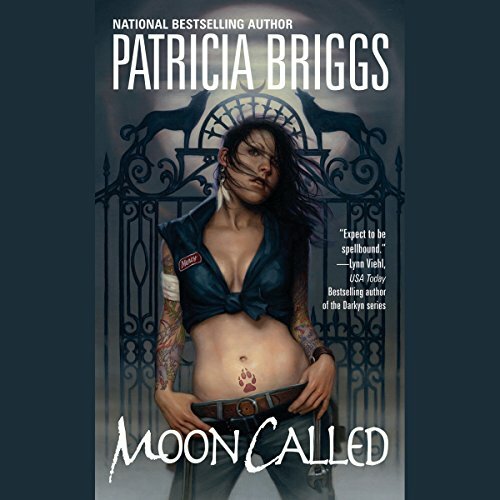 Now if Audible would only get more of Patricia Briggs -- and Sci Fi/Paranormal series by other authors, too, I'd be so happy! I suspect that this whole book is a setup for the series as a whole. It had a lot of character introduction and development, but the story was forgettable. I really don't remember anything that happened; I really wasn't engaged by it at all. But man, I really loved the characters, and the narrator was fantastic. I'm not inspired to immediately get the next book, but I know I will in time! I am a big fan of this genre (read: Dresden Files, Iron Druid Chronicles). Unfortunately, this one didn't move me to the same degree. I certainly don't regret the credit I spent on it and there was no part where the story bogged down and became a slog. I'm just not totally convinced to drop more credits on the rest of the series. I like the world Briggs has created with elements of the square community (vanilla humans) beginning to confront the arcane community (werewolves, vampires, the fae) openly. The idea of some fae already being revealed to the world but many still maintaining their secret is a good setup. Mercy herself, with her modest known abilities and the hints about much greater abilities, is similarly well set up to be a source of magical and human conflict. The supporting cast of characters is well developed without forcing it. 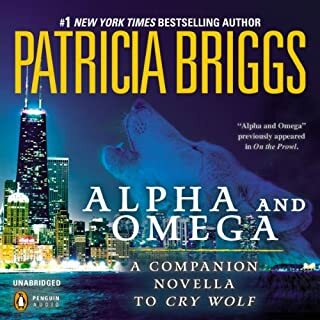 This is particularly well done because Briggs is working against a tendency to make all beings of a sort, like werewolves, have similar personalities. While hers have similar traits, they are very distinct. Also there is plenty of action, preternatural and otherwise. My major problem with the book is that Mercy lacks agency within the plot. There are some moments in the story when her actions are pivotal to the scene, but you get the feeling that the outcome didn't result because of any of Mercy's major decisions, actions or insights. Sure, she figures out the mystery one half second before everyone else, but it is at the point where it is already moot. Mercy doesn't drive the story; the story pulls her along. That's fine in the beginning of a story, but as it progresses, you want to see your protagonist take control. King's telling of the story is good. She does a husky man voice passing fair; I liked her take on foreign accents. One issue I would take is that Mercy is supposed to be early 30s and I feel like King has her dialed in at about mid 40s. But generally, a sound reading. I tend to read the reviews from my fellow audible listener, so I thought I try and return the favor. I really liked this book. The main charater is very likeable. This is a hint of romance, but no action to speak of. And there is really no swearing. Hard to believe that you can actually have a great story with out it!!!!! The narrator is great also. Was this book worth my time and my money? YES!